When SHTF and you have absolutely no other option but to leave and never come back what are you going to take with you? Are you going to pack up your toys, collectibles and video games like a moron? No you will need to grab the absolute essentials for survival and put them into a bag. Not just any bag but a bug out bag. 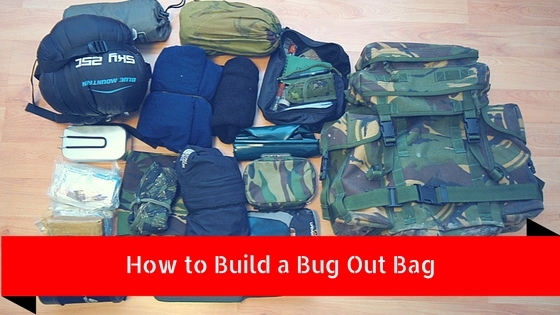 In this post we will talk about how to build a bug out bag. Before we move on let me clarify what I mean about bugging out. There is an absolute difference between evacuating and bugging out. If you are evacuating from an emergency like a fire or natural disaster there is a possibility that you will be returning. However, when you are bugging out you are planning to never return. It is important to clarify the difference because not every situation is going to call for you to bug out. A lot of people get that confused in the preparedness community. If you are evacuating then you will need to grab a GO Bag which is less extreme than a bug out bag. Extreme situations may call for you to bug out. Examples include a nuclear fallout, army invasion, plagues etc. So it is important to know when and if you should bug out. Now you are not going to survive the apocalypse based on the contents of bag alone. The bug out bag is simply just a tool to help you survive until you are able to access your bug out location. The longest you want to plan on surviving on a bug out bag alone will be 72 hours. It’s just impossible to pack everything that you need to survive the rest of your life. Your bug out location will provide all of your preps and gear that you need to survive an apocalyptic and collapse type event. There you should have all of your food and water preps along with other tools to rebuild your life. Again the bag is just meant to help you get from point A to point B. In this post we are not going to talk just about what goes inside of a bug out bag. I have provided a checklist of items that you should pack in your bag that you can download HERE. Instead we are going to talk more about how to build a bug out bag. Before you pick up a bag you need to determine what you need. Again I have provided a checklist that includes foundational items to pack. Overall, you will want to start with the Rule of 3’s which states: you can survive only 3 minutes without air, 3 hours in rough in weather conditions, 3 days without water and 3 weeks without food. So items that will help you survive using the Rule of 3’s would be essentials. This is what you should start with and then build from there. You don’t want to buy the bag first then pack around the bag’s limitations. The essentials that you purchase shouldn’t be dependent upon the storage of your bag. You don’t want to begin buying items only to find out that you can’t fit it into your bag. So you will need to know what to put in a bug out bag first. Now you don’t want to go out and buy a whole lot of gear without knowing how much you can carry. There are many factors that come into play here especially if you are sick or have a handicap. You don’t want to be carrying a 75 pound bag if you have a bad back or leg problem. When considering how to build a bug out bag you need to determine how long you can carry those items as well. The average HEALTHY person can walk about 20 miles per day. Now when you begin to add a heavy bag into the equation the distance gets even shorter. Like I said you will want to access your bug out location within 3 days. So you need to factor the walking distance to your location into building your bug out bag. You bug out plan shouldn’t be developed around using a vehicle. That can break down or get stolen. To figure this out I suggest that you practice hiking to see how far you are able to walk. You should also try doing this with a bag full of items. Weight the bag and test out your walking distance. This will help you determine what gear and supplies are essential and what you can do without. It will also give you an idea on lighter options that you can look for to lighten up your pack. In the prepper community it is widely accepted that your bug out bag should be 25 pounds. However, I say it is all personal preference. Personally my bug out bag is about 40 pounds and I am able to walk at a consistent pace. If you can carry up to 45 pounds without sacrificing mobility then go for it. What elements will you be facing? When determining how to build a bug out bag you will need to consider the elements that you will be facing on your bug out. For example, if you live in a tropical or humid location that rains a lot then you will certainly want a pack that is water resistant or water proof. At the least you will want to make sure your important items inside of the pack stay dry by placing them in Ziploc bags. If your bug out route is rough and will be faced with sharp objects or plants then you will want to have a really tough back. You will want to buy a bag with at least 600 denier nylon. However, you may be sacrificing bag weight when you are buying stronger materials. 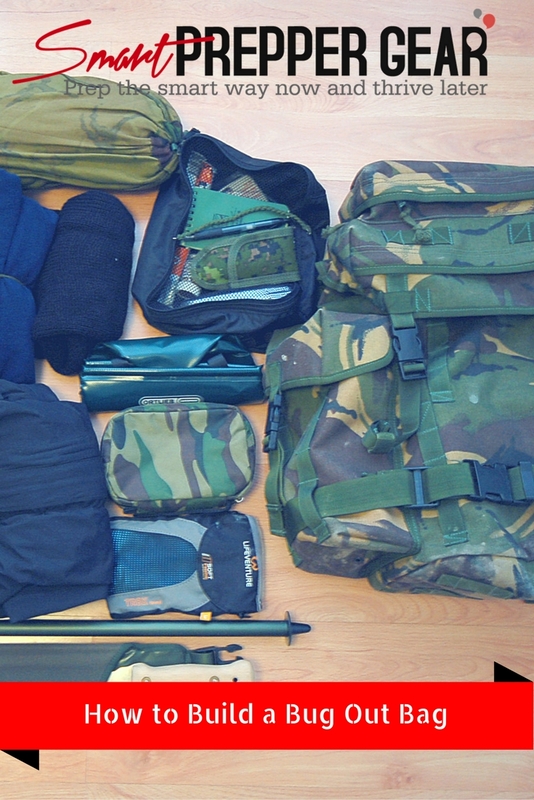 When determining how to build a bug out bag you will be faced with a few more considerations. You will need to determine if you want an external/internal frame or frameless. There are only few bags still on the market that are external frame. Internal frames are built with the purpose to give you stability while hiking. If you have ever gone hiking or backwoods camping then you know you will be faced with an obstacle course. So maintaining balance is important and probably crucial when it comes to bugging out. This is because you could be running or trying to hide from someone. The downside of having a frame backpack is that it adds weight to your pack. You could go with a frameless backpack but you will want to be sure that it hugs your body. This is why I love the Condor 3 Day Assault Pack because it provides chest and waist straps that keep that bag close to your body. Now it is not as stable as having an internal frame but it is much lighter. In a previous post I wrote about important things to have in a bug out bag. Check it out before looking for a pack. Overall these would be my suggestions for how to build a bug out bag. If have any questions or suggestions please leave them in the comment section below. Your feedback helps the prepper community prepare the smart way now so that we can thrive later.